Seventeen year-old Alice Crewe and her mother Ella have led a chaotic, nomadic life, beset with mysterious bad luck as they drift across the USA. Ella's mother and Alice's grandmother is Althea Proserpine, a former society journalist and now a reclusive author who lives on a huge forest estate somewhere in rural upstate New York, but Ella refuses to have any contact with her or even to allow Alice to read her collection of adult fairy tales, now out of print but with a small cult following of obsessive fans. When Ella receives a letter to say that Althea has died, she seems to think that she and Alice can finally settle down - but then Alice comes home one day to find her mother has disappeared, and it's clear that somehow, her grandmother's stories are to blame. Despite having previously avoided fans of The Hinterland, the dark supernatural realm of Althea Proserpine's stories, Alice finds she has little choice but to join forces with her super-rich classmate Ellery Finch, the only person she knows who is familiar with Althea's writing, to try and get her mother back. 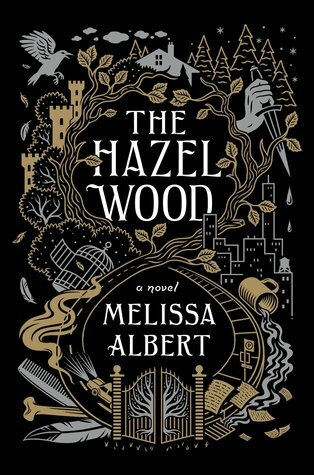 I was attracted to Melissa Albert's The Hazel Wood by the idea of Alice trying to track down her once-stylish, reclusive grandmother crafting her dark, Angela Carteresque fairy stories in her isolated mansion, and the opening chapters didn't disappoint. I was fascinated by Althea and fascinated by Alice and her mother as they travel America, perpetually on the road. There's a particularly intriguing moment in Alice's early childhood she is abducted by a male stranger, but she has no memory of being frightened and is convinced he made no attempt to touch her. There are also many observations that are witty and perceptive, and a pleasing turn of phrase. And yet somehow, as the book progresses and delves deeper into the realms of fantasy, I actually found it less and less engaging - perhaps I just wanted the book to be something it isn't, but I didn't feel that the true fantasy elements of the story were particularly successful. Character and atmosphere are lost in favour of concept and familiar fairy tale tropes and the plot suddenly becomes episodic and plodding, an unevenly paced mish-mash of ideas combined in a way that feels somewhat contrived. 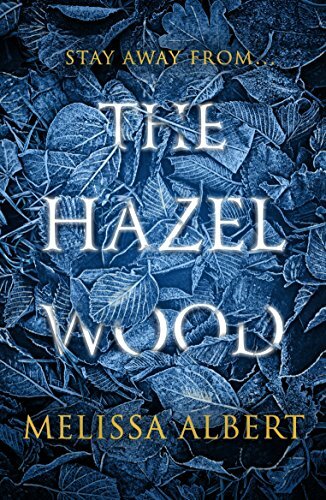 The Hazel Wood is a YA book, but I think there's a certain maturity of style at the start of the book which declines as the story progresses and I didn't feel it had the crossover appeal of some YA reads. I struggled with both Alice and Finch as characters, too. Alice is just that little bit too smart and resourceful to be believable, and she's unfeasibly well-adjusted and well-educated given her unstable childhood and complete lack of real relationships in her life beyond the one she has with her mother (and I've had enough of precocious YA heroines who seem to read nothing but classic novels, by the way). I found Finch a little more credible, but at the same time, not especially interesting, which means some moments in the novel which should have been major shocks failed to have much impact. I can see that there is much in The Hazel Wood that many readers would enjoy, and I'm sure it will do well with its intended audience, but for me, this one just didn't fulfil its early promise. My thanks to Penguin for sending me a copy of The Hazel Wood via NetGalley in return for an honest review. The Hazel Wood is out on 8 February in paperback and for Kindle.